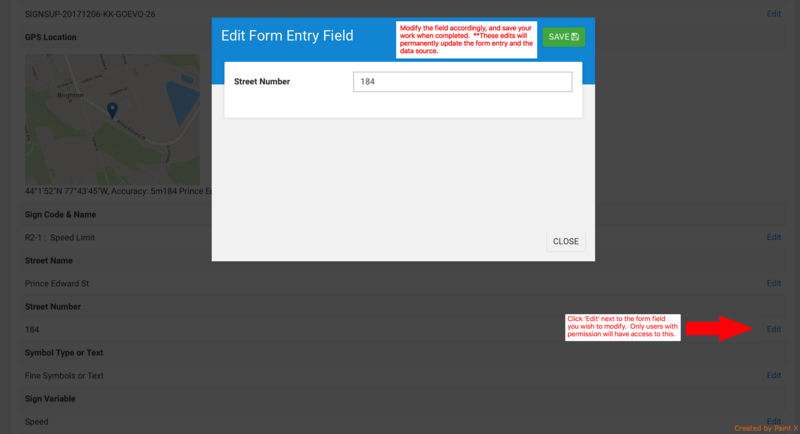 There may be times when form entry data is incorrectly captured by app users, and needs to be updated. 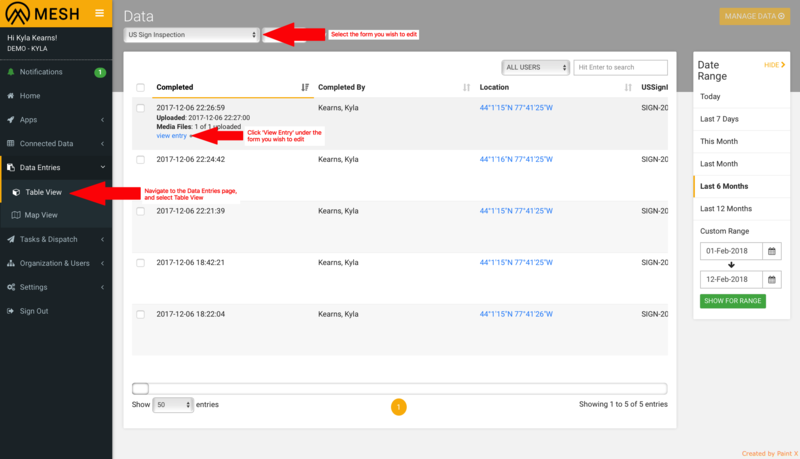 This can be done through the web platform by users with 'Edit Data Entries' permission. Users with this permission will see an edit link on the 'View Entry' page. 2. You will see an 'edit' option next to fields. Click this for the field you wish to modify. Ensure you save your work once completed. Note: All edits will permanently modify that particular form entry, double check prior to saving.